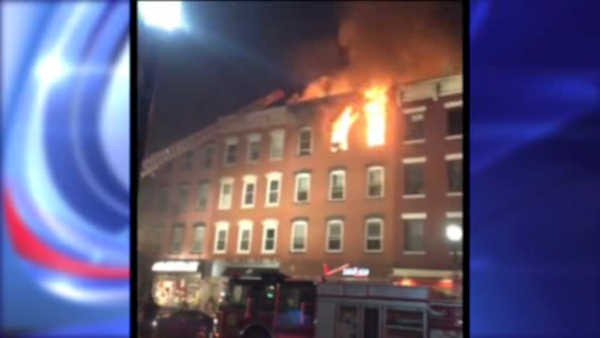 HOBOKEN, New Jersey (WABC) -- Firefighters battled a fire in a 4-story building in Hoboken on Saturday night. Flames broke out around 10 p.m. on the third floor of the building on 503 Washington Street. The building has apartments, but there is also a business on the first floor. No injuries have been reported, and there is no word yet on a cause.